Jan has been with Harrison Drury since 2014 following a move from her previous firm, Cartmell Shepherd where she was based in Penrith, Cumbria. She qualified as a solicitor in 1995 having studied Politics, Philosophy and Economics at Oxford University. She trained and worked in London for 10 years before moving North. 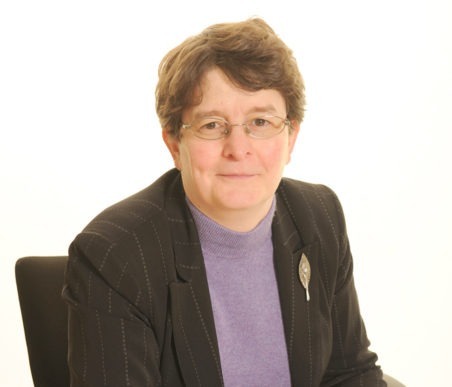 Jan has spent over 20 years advising on all matters connected with Wills, Inheritance and Trusts providing tax advice for high-net worth individuals. She has particular expertise in dealing with agricultural and landed estate clients – both in planning and reporting to HMRC. She is also known for her work in dealing with Elderly Clients including complex applications to the Court of Protection. Jan is a Director of Harrison Drury and the firm’s leading lawyer on non contentious private client issues. Outside of the office Jan is a Trustee of Age UK (South Lakeland). Jan is a member of STEP (Society for Trusts and Estate Practitioners) and serves on the STEP UK Practice Committee. She is a member of HMRC’s Agents Advisory Group for trusts and estates dealing with inheritance tax and capital gains tax. She also serves on the President’s working group on Non-Contentious Probate Rules. She is one of the founder members of Solicitors for the Elderly – an organisation aimed at providing specialist legal advice for older and vulnerable people, their families and carers – and continues to be a member of this organisation. She is also a member of the Law Society’s Private Client section. In the past Jan has lectured on various topics – in particular the Elderly Client and Powers of Attorney – and has been part of the editorial board of Heywood & Massey on the Court of Protection (13th Edition). She also has an interest in charities as beneficiaries of Wills and Trusts and was the co-author of the First Edition of Charities as Beneficiaries, a Guide for Practitioners and Legacy Managers. She has appeared on various BBC TV and Radio programmes and for some years was the Wills and Private Client expert on BBC 2’s now defunct Working Lunch programme. She is currently a member of the Practical Law Company’s Private Client Consultation Board. Jan is able to provide advice on all areas of non-contentious work in the department and remains at the forefront of all updates and changes in the laws relating to Wills, Inheritance and Trusts through her various roles. When not out walking the Cumbrian Fells, Jan can usually be found in her garden. She also enjoys being sailed on warm waters and spending her time reading or going to the cinema.